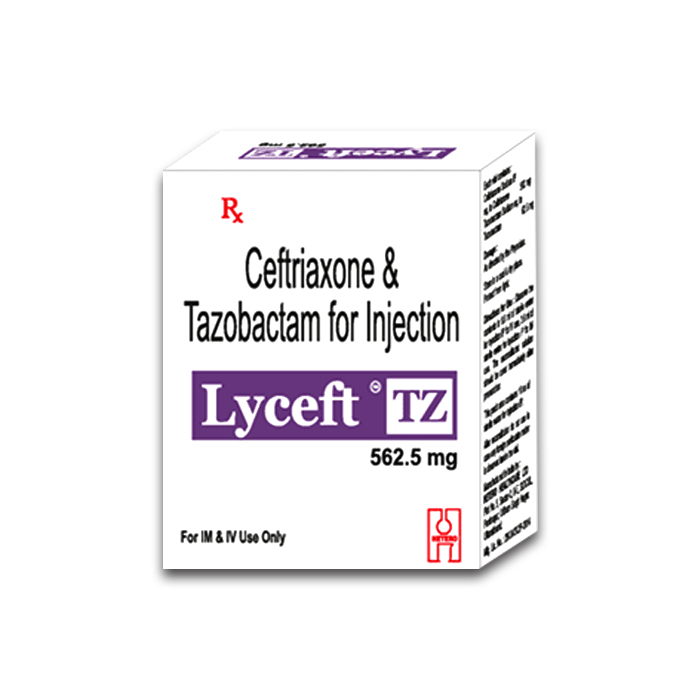 Lyceft TZ injection contains ceftriaxone + Tazobactam a combination of cephalosporin and betalactamase inhibitor, Indicated for community acquried infection & Respiratory tract infections,Ceftriaxone + Tazobactam combination offers 94.6% efficacy against resistance to ceftriaxone alone. Lyceft 1000 MG Injection is used in the treatment of meningitis, which is an inflammation of the protective membranes that surround the brain and spinal cord. This infection may be caused by Streptococcus pneumoniae or Neisseria meningitidis.